The Memorial Day weekend will find NCCSAH members exploring the historic architecture of Carson City and Virginia City, Nevada, and considering the impact the Comstock Lode silver strike of the 1860s and ‘70s had on San Francisco. 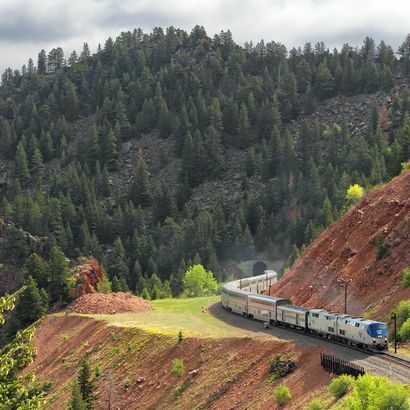 Our adventure begins with a 6-1/2 hour trip on one of Amtrak’s most popular trains, the California Zephyr, which takes us to Reno over the historic route of the first transcontinental railroad. The one-day Carson City leg of the trip, on Friday, May 24, will take in the State Capitol and the old U.S. Mint, which today houses the Nevada State Museum. Saturday will find us riding the rails again, this time on the historic Virginia & Truckee Railroad. A day-and-a-half in Virginia City will allow a pretty thorough experience of what was once described as “the richest city in America”. Much of the 19th century town remains remarkably intact, and will allow us to experience a mining boomtown of that time, including a visit to a once-productive silver mine. A morning departure from Reno on the Zephyr will return us to the Bay Area on Monday afternoon.